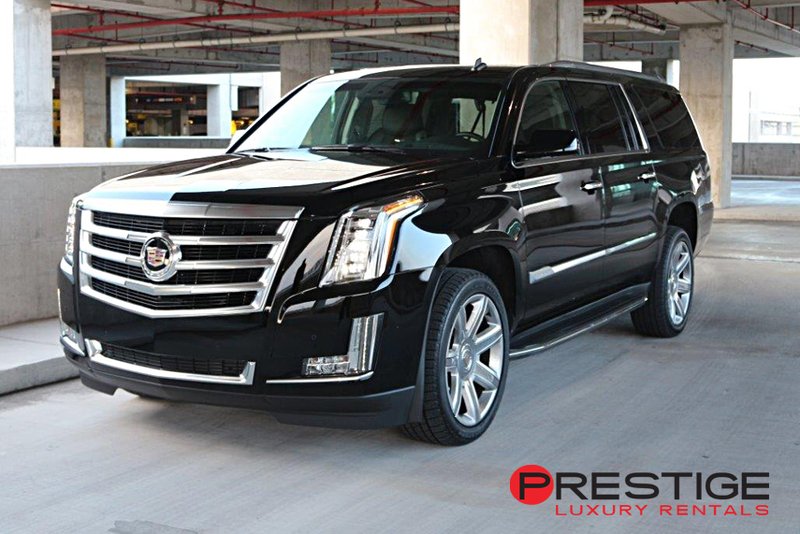 Explore the great city of Atlanta, Georgia in style with a weekend rental of the luxurious Cadillac Escalade ESV. It seats 7-8 so you can take your whole work team with you to see some of the most touristy spots of the area like the CNN Center and World of Coca-Cola. If you’re staying in one of the local hotels like the Courtyard Atlanta Downtown the Georgia Aquarium is within a few miles, and Atlanta’s busiest airport, Hartsfield-Jackson International Airport, is conviently accessible. 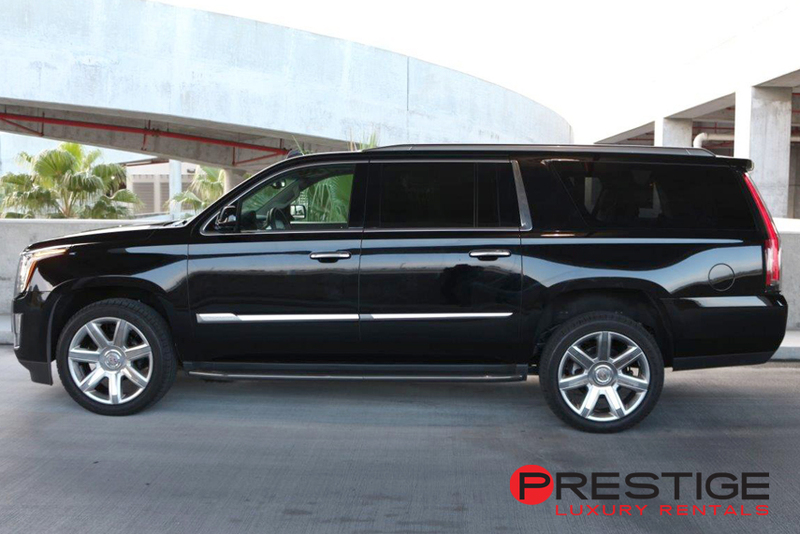 We pick up and deliver your Cadillac Escalade ESV so you can enjoy the sights of Atlanta and the pure luxury of your weekend ride. 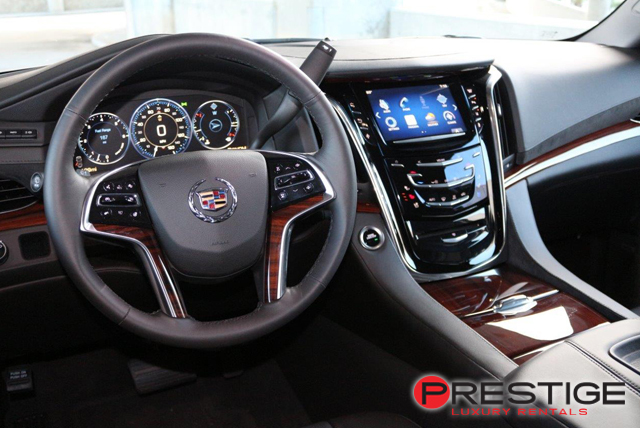 The Cadillac Escalade ESV has something for everyone. For the music lover, a 16-speaker BOSE sound system amplifies your favorite artist throughout the cabin; for spatially-challenged driver, a rearview camera and front and rear parking sensors. And for the shopper of the group, keyless ignition and entry and a hands-free power liftgate for easily loading packages, in addition to 120-cubic feet of cargo room. Enjoy Atlanta with the luxury only Cadillac can deliver. 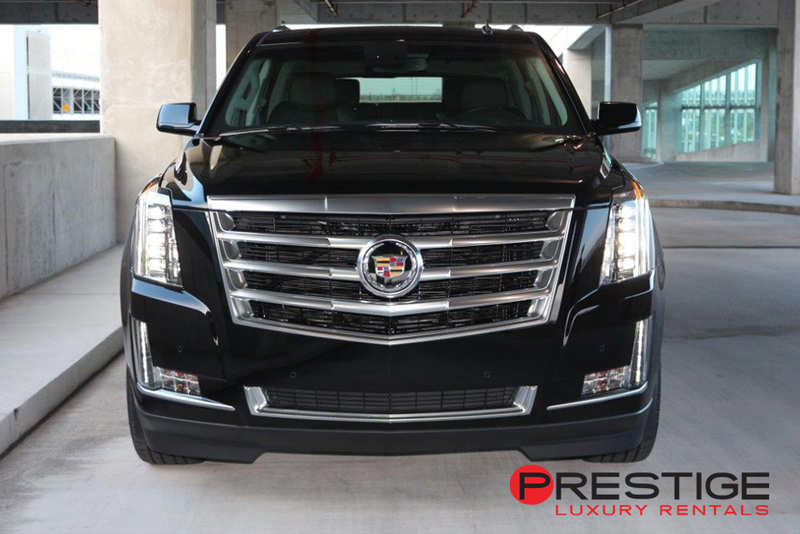 Whether you’re coming into Atlanta, Georgia through Hartsfield-Jackson International Airport or DeKalb Peachtree Airport you will find yourself in veritable heaven when you rent a Cadillac Escalade ESV. We will pick up and deliver your Cadillac so you can focus on catching all of the sights of the region. For a weekend rental of a Cadillac Escalade you will not want to miss Zoo Atlanta or Marietta Square, located a short 15 miles from Atlanta. You won’t mind the ride no matter where in Dekalb county you go. 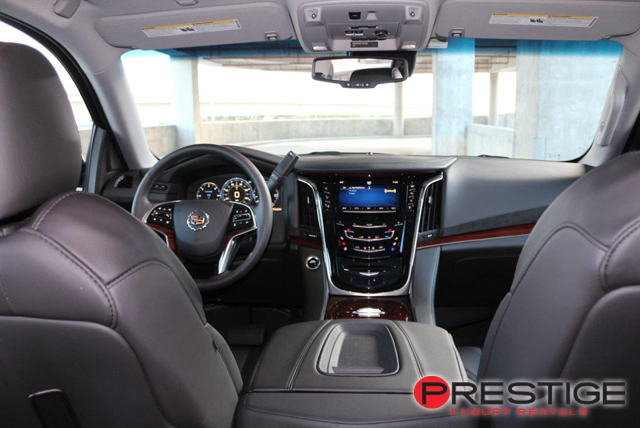 The Cadillac Escalade ESV offers a tri-zone automatic climate control system and heated front and rear seats for everyone’s comfort. For those busy traffic days or out-of-the-way trips, a heated power tilt-and-telescoping steering wheel, leather upholstery and ventilated power front seats guarantees a comfortable ride. A navigation system helps you when you make the inevitable wrong turn.